Rock River Puppies is a small breeder in South Dakota. We raise AKC Registered Miniature English Bulldogs, French Bulldogs, & Pomeranians. All of our puppies are raised in our home around children of all ages. We strive to keep our breeds to it's original design with emphasis on disposition/health and beauty. All of our puppies are registered with AKC . They are priced so everyone can afford a great quality healthy puppy. 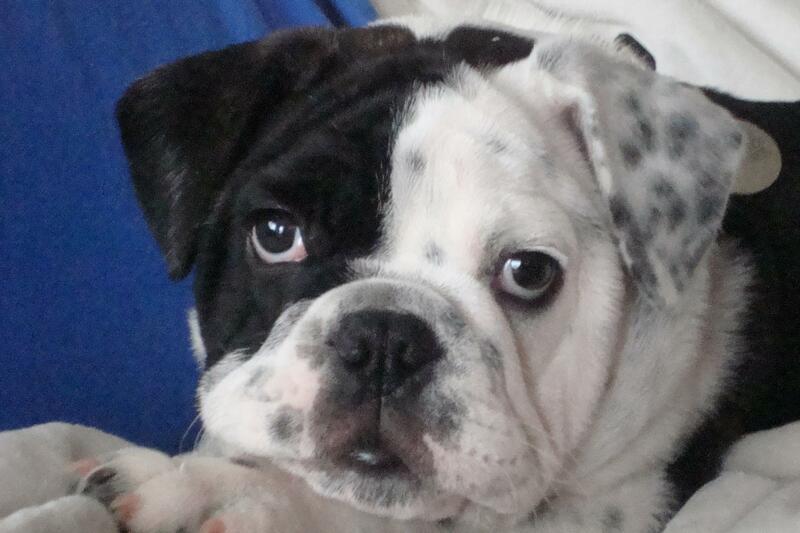 We specialize in Miniature English Bulldogs and French Bulldogs. We do not sell to brokers or pet stores. We are very proud of all our breeds. All puppies will come with a one year guarantee and limited registration unless stated other wise which is an option. Check us out on facebook below! We actively update our facebook page and post fun videos and pictures. Miniature English looking for their forever home! 2 females that are both white and light brown. Pomeranians will be a few months.